She is at the age where the world changes from puppies and ponies to mini skirts and hair removal, and where red is the colour of every month. 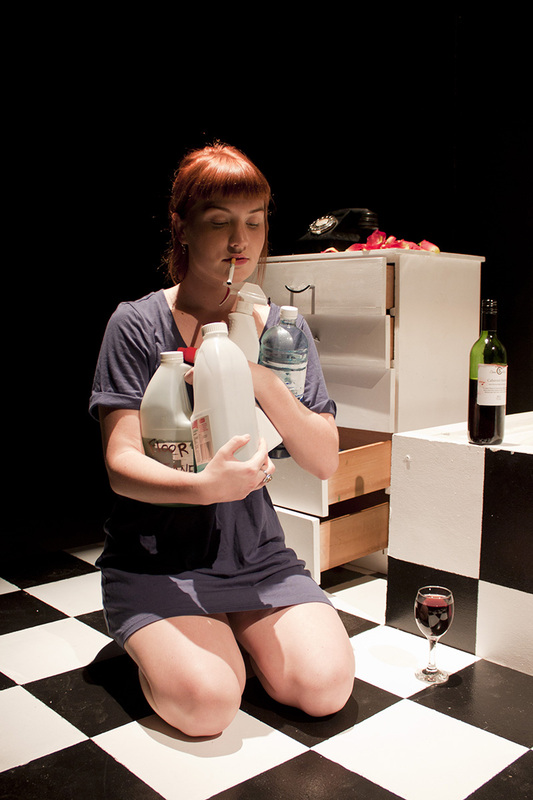 Inspired by Anthony Neilson’s The Wonderful World of Dissocia and a plethora of iconic coming-of-age tales, Cotton Pony is a devised, absurd and disturbing work, tracing the story of Ebony Zedler as she reflects upon her metamorphosis and transformation into a woman. Make no mistake, though – this is no feminist romp. This is one adventure that will grip you by the thorax and drag you deep down the rabbit hole (or somebody’s hole), into a whimsical world of oversized tampons, talking hands and leaky toilets. Pestered by a barrage of characters, including a pair of kooky and misguided doctors, a vibrant monster with a hidden agenda, and a wolf with a severe craving for tapas, Ebony takes us with her as she traipses through a world where fantasy, real-life and memory collide. Co-Devised and Performed by: Essie O'Shaughnessy, Charlie Schache, Ben Newth, Athalia Foo, and Steph Stainlay.